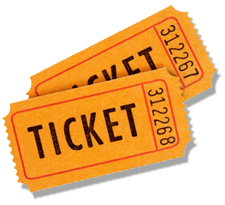 While the festival is always free to attend, some events either offer additional options with a purchased ticket or require one for entry. Above you can click to purchase tickets online. Below you’ll find information on how to purchase tickets & ticket bundles before and during the festival. If you have questions, please call us at 712-707-4510. Please note that all Night Show and Reserved Parade Seats are sold on a first come, first serve basis. All ticket sales are FINAL – NO REFUNDS or EXCHANGES. Call the Tulip Festival office at 712-707-4510 and purchase your tickets over the phone with a credit card payment. Night Show: $25 each. Conclude your day at the festival by enjoying our full musical production in a state-of-the-art performance center. Boasting a long history, our Night Show is a must-see attraction for children and adults alike. The show is performed in the Unity Christian Knight Center, located at 216 Michigan Avenue SW. The facility is air-conditioned, and wheelchair accessible seating is available. Reserved Parade Seats – $5 each. Purchase your reserved seats for our renown Straat Feest & Volksparade. The Straat Feest features people of all ages performing Dutch dances, a showcase of authentic Dutch costumes in the Mode Show, and a crowd favorite: street scrubbing. Our beloved Volksparade follows the Straat Feest and features one-of-a-kind floats and top-area marching bands. Wheelchair accessible seating is available. Reserved parade seats are not required to watch the parade – if you don’t wish to purchase reserved parade seats, we encourage you to bring a lawn chair or blanket to sit on. Dutch Dozen Performances – $5 each. Purchase a general admission ticket for one of the shows that are performed daily at 10:30 a.m., 11:30 a.m. and 4 p.m. in City Hall, downtown Orange City. The Dutch Dozen was formed in 1947, and continues to be a highlight of the festival each year. A group of 12 young ladies and 12 young men, all in high school, provide a colorful, light-hearted and melodious journey through Old Holland, with most of the choreographed singing in Dutch. Dutch Dozen members wear traditional Volendam costumes, and the ladies wear signature orange klompen, or wooden shoes. Flower Show & Dutch Heritage Museum – $5 each. The Flower Show, located in the Dutch Heritage Museum, features 1,000 tulips in one-of-a-kind arrangements. Featured historical exhibits at the Orange City Dutch Heritage Museum include antiques from North Holland, traditional Dutch clothing, military pieces, items used by local settlers, and a Native American collection. A one-room schoolhouse, rug weaver and barbershop are also featured in the tour. Quilt Show – $5 each. The Quilt Show takes place annually during the Tulip Festival. At the show, you’ll have the opportunity to view nearly 175 handmade quilts. Various quilting demonstrations take place during the day as well. The show is organized by the Sioux Prairie Quilters. Private Guided Tour Dutch Heritage Museum – $10 each limited to 1st 15 attendees. Reserve a spot for a personally guided tour before the museum opens to the public. Hear Dutch immigrant stories. See Dutch costumes and a traditional Dutch living room and bedroom.  Take in the history of the Tulip Festival and how Orange City and Sioux County were settled. And enjoy the flower show at the same time! Value Books – $15 each. Our value books, holding a value of $30, are an economical and convenient way to experience our festival attractions and events. The books are valid for the entire festival and are not limited to a particular day or performance. The attractions and services included in the book are listed below. Admission can also be paid at the door of the event or attraction during the festival for the price listed below.